Wednesday’s bank charges judgment, OFT v Abbey National  UKSC 6) (which we commented on here) was the Court’s most widely reported decision so far. It provides an interesting opportunity to assess to the quality of media reporting on the Court. Most of the reports of the case concentrated on the “consumers against bankers” angle and made very little reference to the legal issue involved or the reasoning of the court. The main BBC website article has the accurate headline “Banks win Supreme Court case on overdraft charges” with video of Lord Phillips at the hand down. The report makes it tolerably clear that the ruling is not about “fairness” but about whether the OFT was entitled to investigate. It does not, however, give readers any idea of the legal issues at stake or why the Court reached its decision. The BBC website’s “Have your say” feature attracted 2988 comments on the case – although few focus on the legal issues. “So, now we know. The highest court in the land thinks it is perfectly equitable and moral for banks routinely to charge customers £35 for a transaction that costs them £2.50. It believes an automatic charge of £12 for inadvertently going 10p over the agreed overdraft limit – followed by daily penal charges – is how British institutions should do business. ..
And is the Supreme Court the silliest thing ever invented by New Labour? Why do we have a bunch of former Law Lords, who can rule in favour of this bunch of avaricious bandits and not be accountable to Parliament? Well the answer might be that the legal system has a final court of appeal which is required to construe regulations (based on an EU Directive) which do not permit the Court to decide whether or not one of the parties is “avaricious”. 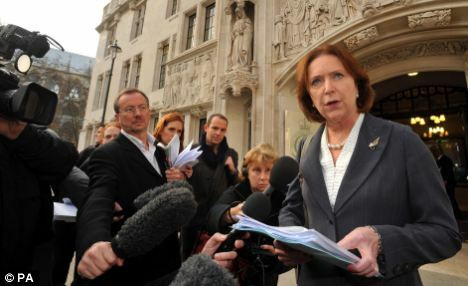 “The five members of the Supreme Court, the highest court in Britain, ruled unanimously that the charges were not covered by “unfair contract” rules and so were not subject to regulation by the OFT”. Its report of the case under the headline “Supreme Court decision on bank charges leaves millions out of pocket” in an article which states the basis of the ruling but says very little about the Court’s reasoning. Honourable mention must, however, be given to the Times” Law Central” blog which links to the judgment, the press summary and provides a helpful summary of the reasoning. We wonder, however, whether causal readers of the Timesonline would find this. “The Supreme Court’s decision infuriated customer and consumer groups. It was particularly surprising given that both the High Court and the Court of Appeal had found in favour of the OFT”. “The President of the Supreme Court, Lord Phillips, explained the decision by saying the overdraft charges were agreed by customers when they took out an account with the banks. He said that without the charges, the banks would not be able to provide current account services without a fee”. No reference is made to the actual point in the case, namely the construction of the Unfair Contract Terms in Consumer Contracts Regulations 1999. The Guardian accurately summarised the effect of the ruling (“that the OFT could not challenge overdraft charges because it does not have the power to decide whether unauthorised charges are fair”) but said little more about it. The Guardian also has a useful “Q&A” page which explains the background to the ruling. It also had an interesting and innovative feature, a live blog dealing with the lead up to and the aftermath of the judgment. The Independent gives a reasonably accurate account, marred only by references to “Five Law Lords led by Lord Phillips” and a claim that the Court had “denied the OFT leave to appeal to Europe” (no it hadn’t, although it had refused a reference to the ECJ). However, the paper redeems itself with a piece called “Bank Charges Ruling Explained” which, in question and answer form, gives a clear and accurate account of the decision and the grounds on which it was made – although it does tell readers that the decision concerned “an obscure law the Unfair Contract Terms in Consumer Contracts Regulations 1999”. The overall impression given by most of the media is of a “moral” or “political” decision made on the basis of the Court’s views about bankers and consumers. The Court’s helpful, pithy and accurate “Press Summary” seems to have passed most of the media by. It would be useful media organisations were to provide links to the Press Summary on their websites – so interested readers could see the actual basis for the decisions of the Supreme Court. The media coverage contains very little mention of the reasons why the Court arrived at its decision or of the views expressed by any of the Justices. The preference was for soundbites from the opposing spokespersons for banks and consumers. No mainstream media outlet provided any analysis of the legal background. Overall – despite the efforts made in the judgments and the Press Summary – the mainstream media showed little interest in the legal background to the decision and the reasoning which led to it. The contrast to the way in which the US media deals with decisions of its Supreme Court is striking. Update: As an interesting footnote to media coverage of the Supreme Court’s decision, it appears that not only did the media fail to report the legal reasoning and the basis of the decision but it also failed properly to reflect the public reaction. A survey by moneysupermarket.com, reported in the Daily Telegraph suggests that 51% of people think that the present bank charges regime is fair, 20% think that charges are too high and penalise the poorest households too much and only 24% think that people are being ripped of by the banks. The media attacks on “avaricious banks” are more a reflection of the views of consumer campaigning groups than those of the general public. None of this detracts from our point about the poor quality of legal reporting but it reinforces the need for critical distance when the media are claiming to report on the public mood. Leave a reply on "The Supreme Court, the OFT and the Press [updated]"